In 2013 Barkerville’s Theatre Royal celebrates its 145th anniversary. Every summer season since Barkerville was first declared a provincial heritage site more than fifty years ago, a passionate troupe of actors, singers, dancers and musicians assemble in the historic town to re‐create the joy and creativity of the original Theatre Royal, which was built in 1868 to provide much-needed respite to generations of Cariboo miners, businesspeople, and families throughout the late-19th and early-20th centuries. Newman and Wright Theatre Company will begin its gala performances at 1:00pm on Saturday, June 15th, with an expanded version of Danette Boucher’s acclaimed one‐woman show Catherine Schubert: Lady Overlander, a stirring true story about one woman’s treacherous journey to Barkerville. The day will continue with the musical Pathway to Gold at 4:00 pm, and The LaFont and Ward Musical Revue, a variety show sure to enchant theatre goers of any age at 7:00 pm. Immediately following the 7:00 pm show an entertaining auction of costumes, props, and performances for the benefit of the Theatre Royal will take place, and beginning at 8:30pm more music, merriment, and mercantile opportunities will commence at Barkerville’s Theatre Royal, House Hotel, and Mason and Daly General Merchants will commence. 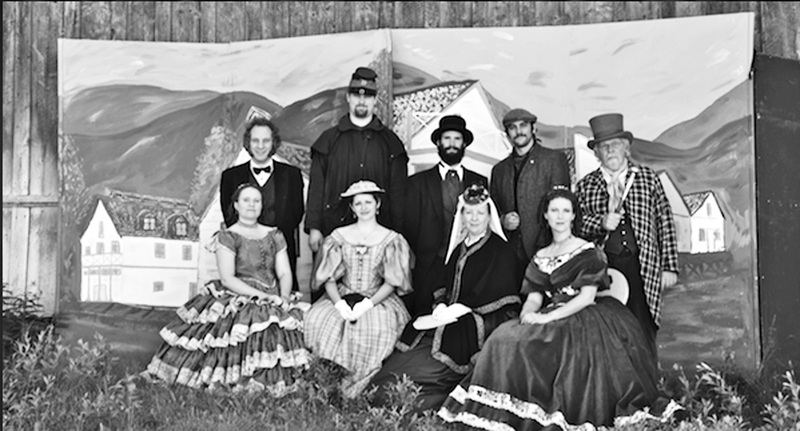 During the day, and between shows, gala ticket holders can enjoy Barkerville’s award‐winning historical interpretation programs, town tours, and a variety of demonstrations and shows throughout the site. Gala tickets are available for $40.00 (plus GST) and include admission to Barkerville, all three Theatre Royal shows, the evening festivities, and an optional seat at the Barkerville Heritage Trust’s annual general meeting. For more information about Barkerville’s 2013 Theatre Royal Gala, or to reserve tickets, please visit http://www.theatreroyal.ca, or phone 250-994‐3225.